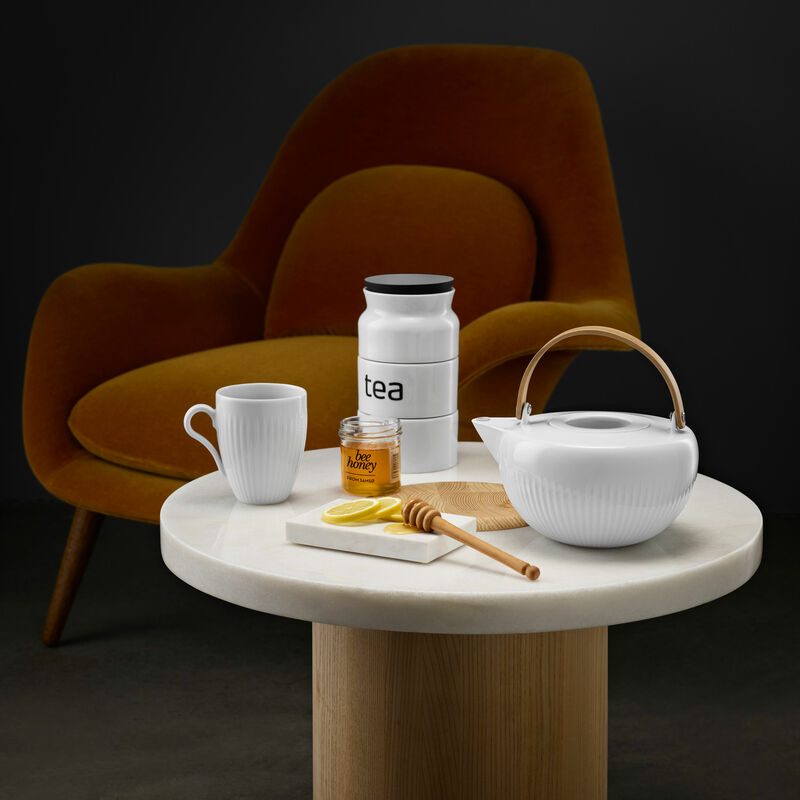 This elegant tea caddy with a Scandinavian design is very practical. 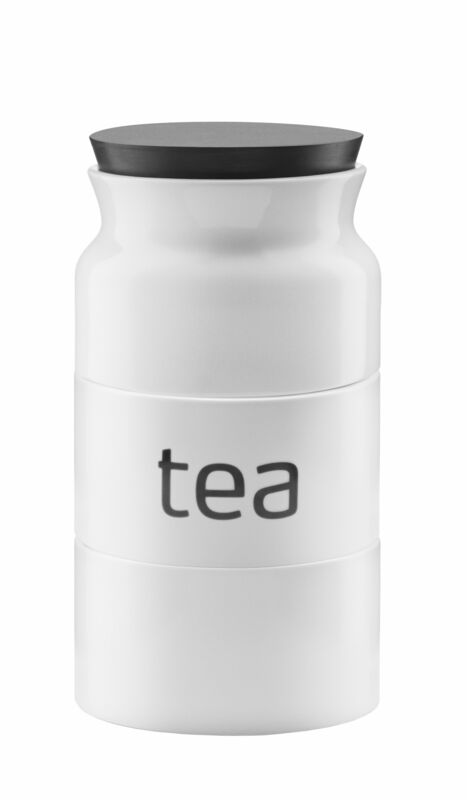 Made from china, it has 3 hermetic compartments on top of one another that can contain loose tea or teabags. 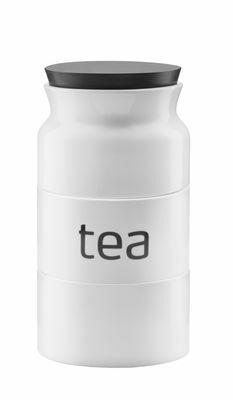 Each compartment can contain up to 100g of loose tea. 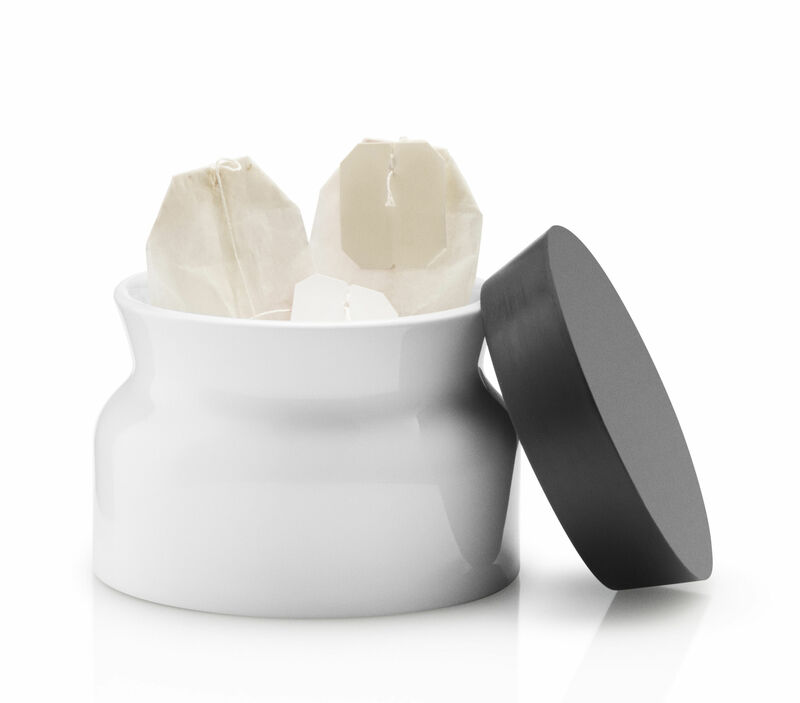 The silicone seals guarantee excellent preservation of the aromas. 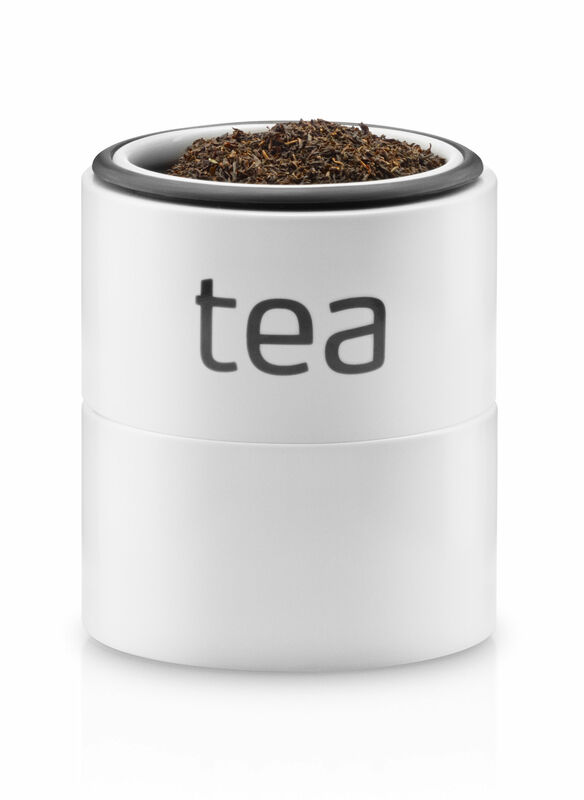 Very pretty, this caddy is perfect to keep and serve tea: It goes from the cupboard to the table for tea time. 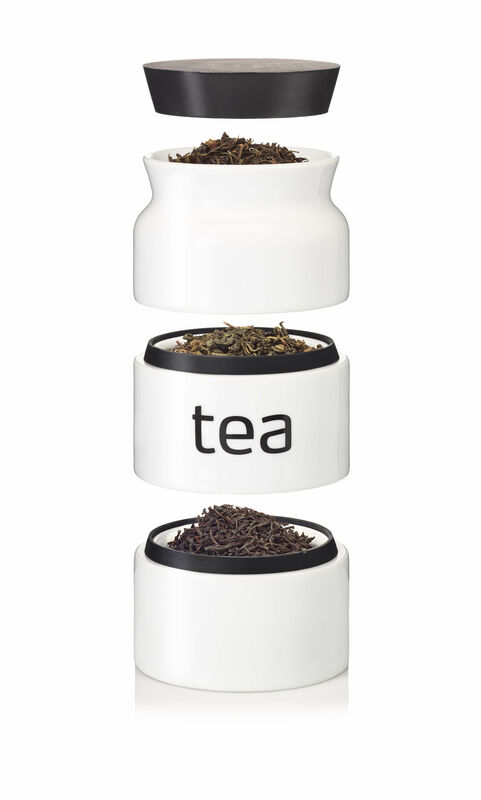 It is possible to use the top compartment of the caddy to collect your used teabags. All the parts are dishwasher-safe.